God has not called us to be right - we're just Joe & Jane. God has called us to be compassionate, gracious, slow to anger, abounding in love and forgiveness. He's called us to show the whole world what He looks like. Taking His name in vain is about: don't sign cheques I wouldn't sign, don't put my name to things that aren't me. As a Christian, you're actually picking up and carrying (Nasah) the name (Shim) of God around with you. Shawv (in vain) means to live your life in a way that manifests (not disappoints) the hope that rests upon it. The name of God rest upon a person (Ex 23:20), its a prophetic utterance of character (Exodus 34:6-7), it sits in a place (Deur 12:11), a force that provides protection (Ps 20:1), that has the ability to move with emotion - to fire a place up (Is 30:27). It's a realm of awareness, that we can live in, or outside of (Micah 4:5). Its a force that brings about the best life (Jn 20). The name creates a life so good, it's worth suffering & dying for (Acts 5:40-41). The demonstration of that life is so powerful, it threatens other people. If you are reviled for the name of Christ, then you are blessed (1 Peter 4:14). Jesus: I have manifested Your name (John 17:6). God has called Christians to be nice, more than He has called us to be right. We're just Joe and Jane. We can't be addicted to being right. We're just four-dimensional people, trying to make sense of an infinitely-dimensional God. It's not about being right - God has not called us to be right. God has called us to be: compassionate, gracious, slow to anger, abounding in love and forgiveness. He's called us to show the whole world what He looks like. We're just Joe and Jane. Exodus 20, we've been talking about the Ten Commandments. I only got through five of them, this is the fifth; and so there's obviously five more. 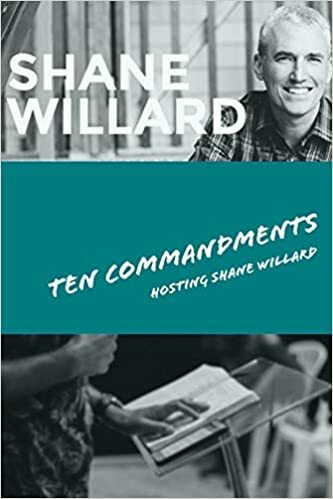 If you want a full discussion on it, see “Ten Commandments” – ShaneWillardMinistries.org. The Ten Commandments is about a group of people that have been slaves for 430 years. All they knew was slavery; and God is trying to do a lot of things, but the primary thing He's trying to do is: He's trying to create a marriage relationship with a group of people, who've been slaves for 430 years. The Jewish people see it as a 10-word Katubah - a marriage proposal. It was God taking this group of people, and He's trying to create the best culture on earth. He's trying to create a culture that will show the world what God looks like; and it's going to be so awesome, it's going to be so great, the whole world's going to want in on it. He's trying to teach these people to be human again. He's trying to teach these people: what would it be like to live in a culture where you have to respect the dignity, and the image of God, in every other person. What would that be like? What would it be like to live in a culture that perpetuates godliness, by honouring their father and mother? What would it be like to live in a culture where God does not exist in boxes, that God actually is everywhere? He's spirit. You can't locate Him in a place. What would it be like to live in a culture, where you can't kill people just because you can? You can't steal from people, just because you can. God is trying to create the greatest culture on earth. He is not trying to make a group of people good. He's trying to make a group of people free. Exodus 20:7. – “You should not take the name of the Lord your God in vain, for the Lord will not hold him guiltless, anyone who takes His name in vain”. So in the context of creating this incredible culture, in the context of creating a marriage between a group of slaves and God, in the context of creating the greatest culture in the world, that everybody's going to want in on, the third thing He says is: “Do not take my name in vain”. When you marry somebody, you get the right to use their name. God is saying is: don't sign cheques I wouldn't sign. Don't put my name on things that I wouldn't put my name on. We primarily make this a language issue; but when we make it a language issue, we miss the entire point. When we make it a language issue, don't ever say "oh my God" - as if ‘God’ is God's name. 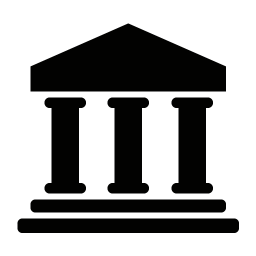 Let me just clear something up real quick: ‘God’ is not God's name – it’s his title; and actually the English word ‘God’ has a pagan origin. Every word in the English language is pagan. Monday was a day to honour the moon god; Thursday was a day to honour the god Thor; Saturday was the day to honour the god Saturn; Sunday was the day to honour the sun god - so don't get caught up in language issues. If you say “I'm not going to say any word that has pagan origins” - you would lose your entire language. The English language, as an entire language, is based in pagan origins - even the ways we get swear words. Swear words come about by whoever won the war. The words became dirty; and by Jesus' day, the Aramaic words were dirty. Why? Because the other people won the war, so they make the other language dirty. This happened in Serbia and Croatia, and it happened in English. The way we get our swear words, actually comes from the William the Conqueror.